ⓘ This is a liquidation product, There are only 8093 left at this price. Quality goes into the construction to provide you the reliablility you need. 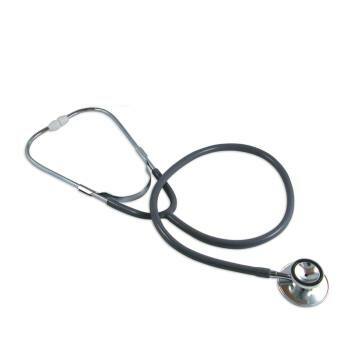 Lightweight dual heads feature a non-chill ring on the bell for increased patient comfort.This quality stethoscope features chrome binaural silver chestpiece, 22" Y tubing and a pair of mushroom ear tips. Overall length is 30". No color choice.